Was it a riot or a rebellion? Nearly five decades after the last fire was extinguished, the discussion continues over what to call the events in Detroit during July 1967. The word “riot” – often spoken or written in the plural, as “the Detroit riots” – remains the most commonly used noun to describe the five days of unrest that left 43 dead, more than 1,000 injured and hundreds of buildings in flames. But “rebellion” surfaces frequently, especially among African Americans and others who discern a political nature in the disorder. Joe T. Darden and Richard W. Thomas, professors at Michigan State University, write in their 2013 book, “Detroit: Race Riots, Racial Conflicts, and Efforts to Bridge the Racial Divide,” that the process of redefining the riot began shortly after it ended, with black militants who began calling the riot a rebellion of African Americans fighting against police brutality and discrimination in housing, jobs and education. In a recent interview, Darden said understanding why many people consider 1967 a “rebellion” is important to racial healing. “There’s a need to educate the white population on this whole matter,” he said. “If whites are involved, uprisings tend to be framed as rebellions. Flip through the index of any social studies text, and you'll find several of them: Bacon's Rebellion, Shays's Rebellion, Dorr's Rebellion. The list goes on. “When blacks are involved, however, an uprising isn't a rebellion; it's a riot. Harlem, Watts, Chicago. Or, more recently, Ferguson. The 1967 Detroit disturbance is sometimes called a “race riot,” but experts say that’s inaccurate so far as it suggests fighting between the races. There was almost no fighting among black and white residents in 1967. In fact, the first fatality in 1967 was a man with a Polish surname who was shot while looting a grocery store by the Arab-American owner. By contrast, 1943 clashes in Detroit saw whites and blacks fighting each other in vicious hand-to-hand combat, and 34 people dying over two days. No one disputes that was a race riot. Sidney Fine, the late University of Michigan history professor, noted that 56 percent of black Detroiters polled several months after the uprising chose to characterize the violence of 1967 as a “rebellion” or “revolution.” Fine, however, leaned toward calling the clashes a riot. 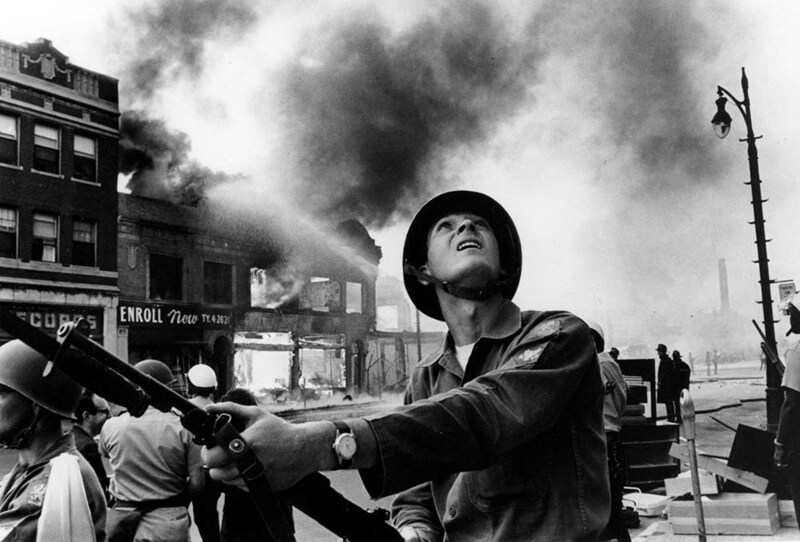 The Kerner Commission, which investigated Detroit’s riot and other disturbances across the country in the 1960s, avoided the riot/rebellion question. It referred to the disturbances as “civil disorders” that were racial in character, but not interracial. How do you believe the events of 1967 should be labeled? I would label the action "self-destructive." The same applies to the actions of arsonists who for years following 1967 burned Detroit to the ground. How did these individuals help their cause by destroying their own neighborhoods? I was in Detroit that day at a Tigers game. We had no idea what was going on when driving down the John Lodge and seeing a helicopter, a number of fires and lots of smoke (one building was right next to the freeway and I saw flames shooting out of it). Because there was a news blackout we didn't find out what was going on until we got back to Lansing. I would call it an insurrection: a revolt against civil authority. The insurrectionists were both Blacks and non-Blacks,Whites, Arab-Am.s,etc. and the civil authority was the near total white Detroit Police Department, followed by all white National Guardsmen, followed much later by more integrated Federal troops. Labeling it a race riot was, at the time, clearly media and other white observers' typical sensationalizing dispite shots of Whites looting along with Blacks (and it looked to me like they were friendly and often in partnership). The only race against race fighting I saw was Uniformed Authority versus Blacks. White on Black, not the other way around...really armed White on unarmed Blacks. Blacks may have been heavily outgunned in terms of both numbers and caliber, but they certainly were not unarmed. Just ask the fire fighters who had lead raining on them while they tried to do their work. This article is a fine example how language is distorted in pursuing political goals. It is one of the finer arts of politics. It is why people can not just make a living, but become downright wealthy, in the field of "public relations" or "political communications". They excel at making the unthinkable, palatable; the disgusting, desirable; the incredible, believable. They teach classes at political leadership programs on how to control agendas and sway public opinion just by the language you use. A vicious dog is a "loyal family pet". Cocaine and alcohol abuse in college and marital infidelity in one's thirties are "youthful indiscretions". Dictators are "emergency managers". Defining the terms, often in the most counterintuitive and prevaracative manner, and getting people to accept them is the essence of political maneuvering. If we call a riot a rebellion, we can get people to accept what they should reject; call a rebellion a riot and we get them to reject what they should accept. So, is it a riot or a rebellion? It depends on what you're selling. I was told by a person who was there that there was an illegal party celebrating a black Vietnam Veteran who had just finished his tour of duty. Certain parties had been made illegal because violence was occurring at almost all of them. The police were coming just to break up the party. Some of the people went out and were calling or telling people the police were coming after the veteran. Then all hell broke loose. I do not know for sure if this is the truth, but I have seen this version several times in print over the years. It was the 101st Airborne who were dispatched to Detroit to keep the peace. If anyone knows any different, please feel free to comment. I worked at Harper Hospital in 1967. The story that was circulated at the time, was that a "blind pig" (and after hours drinking establishment} was raided by the police and that a pregnant black lady was "harmed" by the police. This was touted at "the incident" that touched off the "riot". Whether this is true or not, it was never proven. What the folks were celebrating was never discussed, at least in the media. The rioters (looters) engaged in wholesale theft and then torched the buildings after they were through looting. Then black militants, like H. Rap Brown, urged looters, "...to stop looting and start shooting!". That was after the first two days of looting and burning. The result was the beginning of a mass exodus of white residents and white owned businesses out of Detroit. This mass migration was enhanced by the prospect of "cross district bussing" of school children in the early 1970's which completed the departure of white Detroiters from the city and nearby surrounding communities to the distant suburbs. That is correct - the other reason for the looting, though, was to destroy the credit records kept by the stores that were burned/looted. Credit records were kept on paper or on cards in the back offices. By destroying those records, the people who shopped there on credit never had to pay for any of their tabs. The stores were unable to replace the inventory destroyed by the rioters (because they had no cash and their accounts receivable were destroyed in the riots), and they went out of business. Of course, when the stores went out of business, people complained that they were getting short shrift because of their race, when in fact, it was because they had destroyed their prior merchants' livelihoods. Mike was pretty accurate, as the incendiary incident was at an after hours establishment (Blind Pig) on 12th Street and it spread from there. A tragic beginning to the decline of a once great city. Perhaps the corner has been turned and like the proverbial phoenix, she will rise again to take her rightful place among the urban icons of the world.